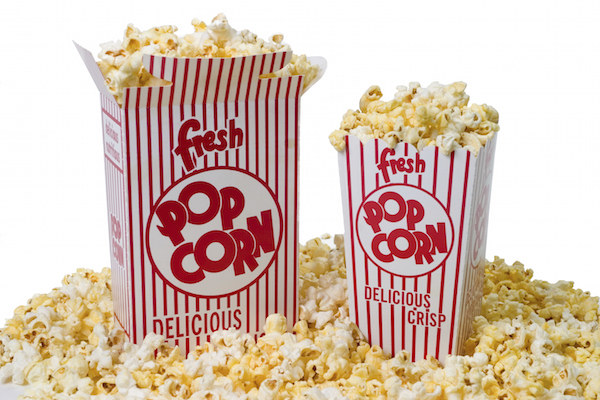 Who can resist the aroma of freshly cooked popcorn? 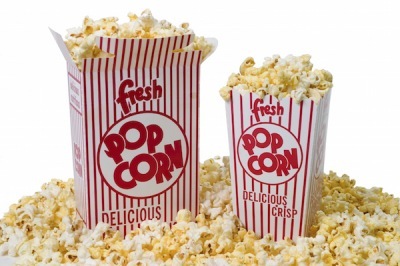 Crunchy and delicious, popcorn is a great addition to any children’s and adults party or event. 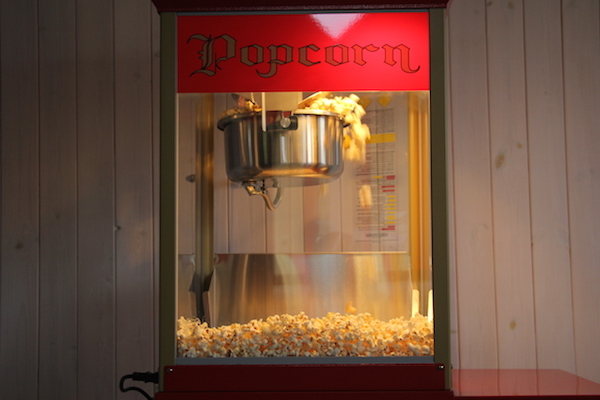 Our stylish and authentic machines can produce tasty hot popcorn every 3 minutes! Yes that quick. Averaging 100 scrumptious portions per hour, it really is the ultimate fun food for any gathering. 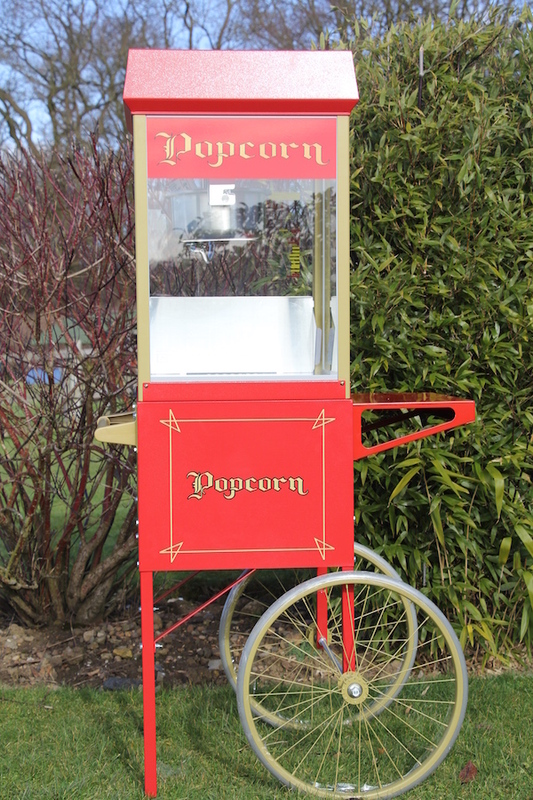 Our fabulous traditional popcorn carts are supplied with a uniformed member of our staff to serve your guests. We request that you pre – choose your preferred flavours – salty or sweet or with a caramel, raspberry, cinnamon, or chocolate glaze. Decisions decisions. 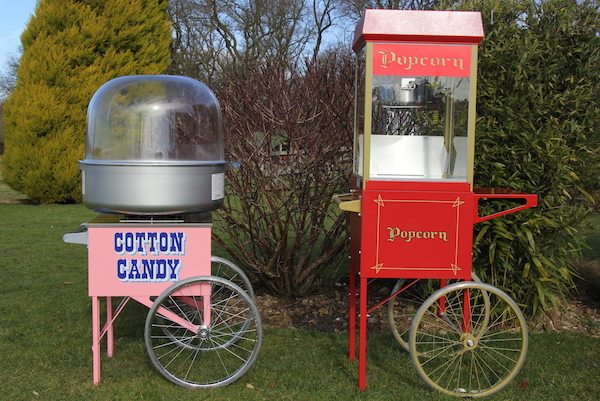 Why not compliment your popcorn by hiring a stunning candy floss machine. 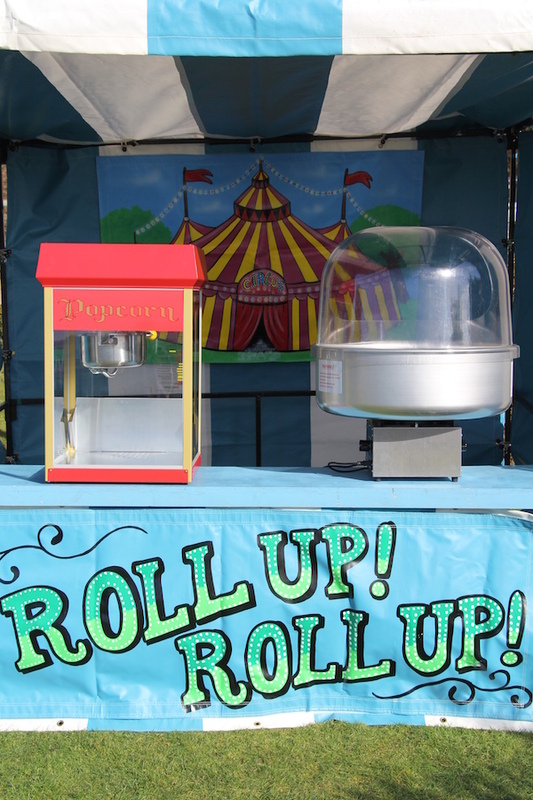 For large events, fetes and fun days, these are available to hire in a fairground side stall – ideal for when you are expecting large numbers of guests. We hire machines to all areas of the UK including Worcestershire, Gloucestershire, Herefordshire, Staffordshire, Warwickshire, Birmingham and The Midlands.